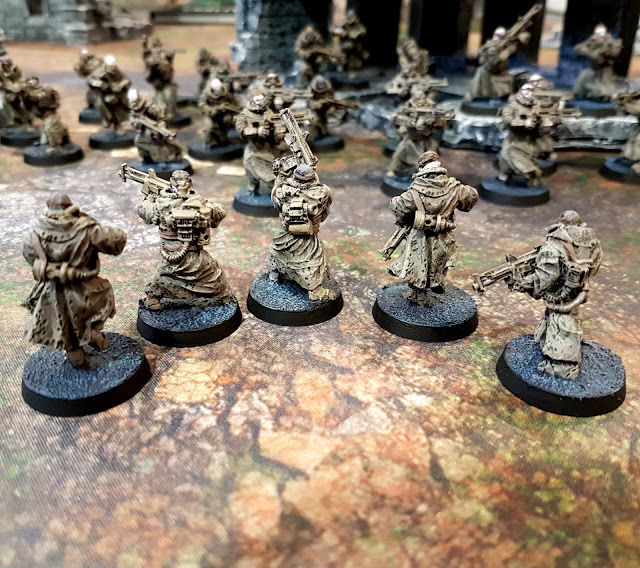 For anyone following us on Instagram you will know that over the holidays I painted these 40 cultists. They were one of my first purchases after moving from Toronto to Newmarket last year, and have been a main stay of my army that I have been proxying since 6th Ed! So needless to say these minis have been a long time coming! The bodies are from Puppet Wars a great third party source for some unique Warhammer 40k proxies. Personally, I have been trying to find an appropriate cultist body that suited the Plague Marines for some time now and the pock marked robes and filtration devices these guys carried fit the ticket! There was only one problem. I didn't like the heads, or at least I didn't want that many of them. So with the exception of two minis I use as Leaders of my two 20 man squads, all of my cultist heads are from Victoria Miniatures. This required a very minor addition of a green stuff neck to help support the admittedly smaller Victoria Miniatures heads on the Puppet Wars figures. But I think they work great. And honestly, would you have noticed if I hadn't told you though? In terms of size I think they are a perfect match for the plague marines. They are quite a bit shorter and generally smaller than the bloated marines of 8th Edition. 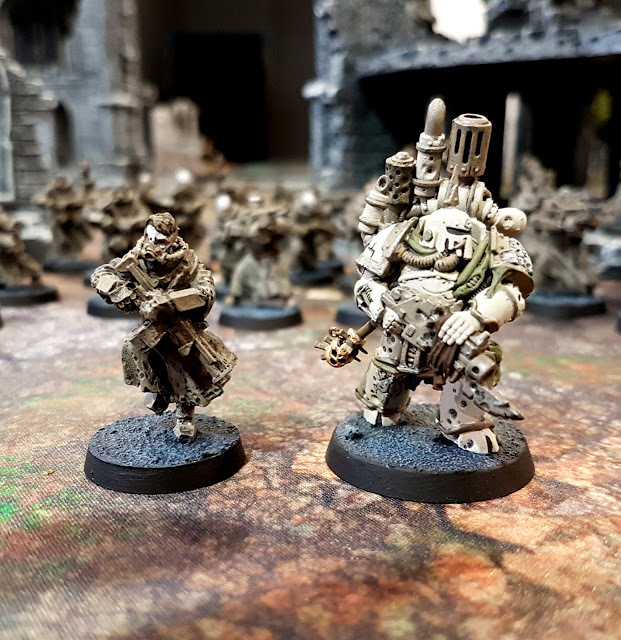 Compared to the older models they are admittedly a little taller, but honestly that doesn't really bother me, as they still appear very lightly armed by comparison. I have had these guys out on the table ready and honestly they fill a major gap in the painting of my forces. 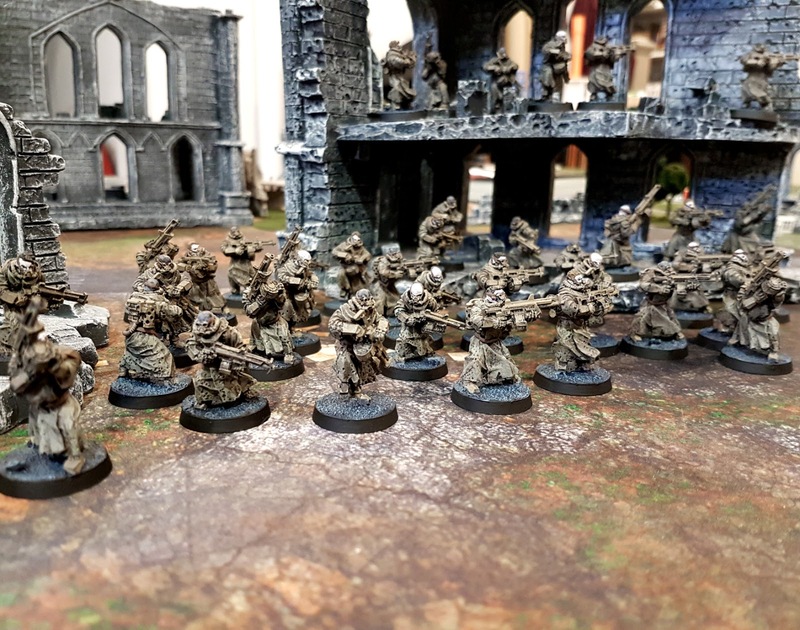 And with my Cultists quickly become my army's MVP's it is really important that they look the part! 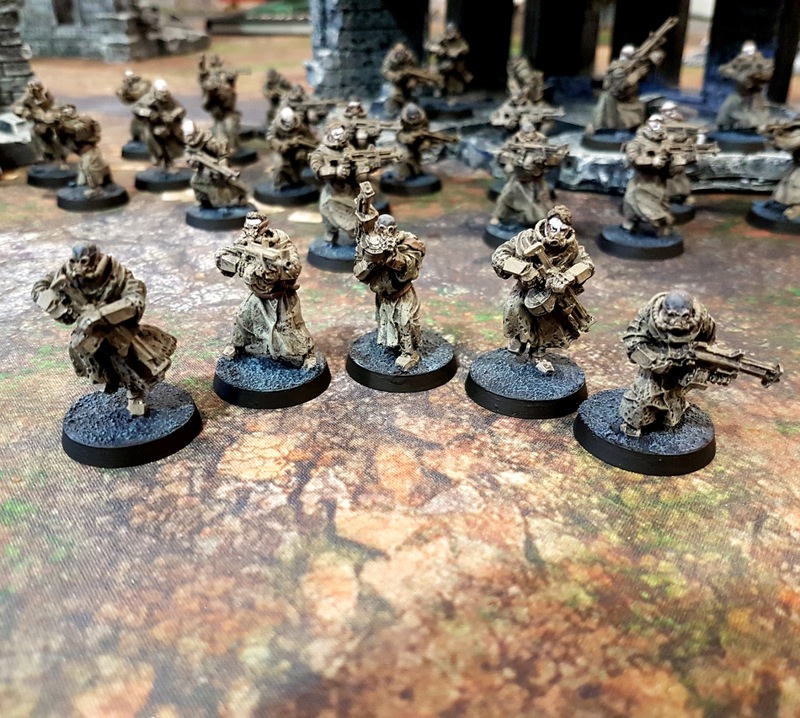 What do you guys use for Death Guard Cultists? I would love to see them!